The HAPITM API set allows direct integration with Office365 and any on-premise data access. Integrated with Active Directory SSO and file access, HAPITM enables any Office365 user to seamlessly access their cloud email, attachments, and Sharepoint data along side their internal file servers and desktop data in one UI interface via APIs. 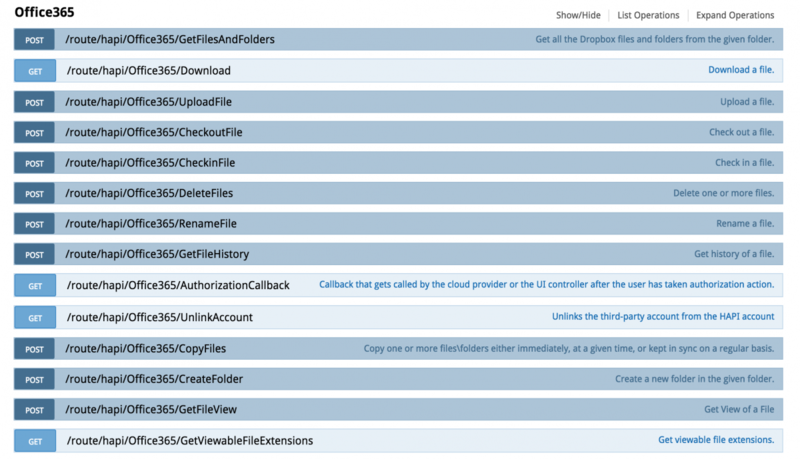 Now all of the user’s data and files can be made accessible from one central Office365 UI. Please email us using the form below for more information on this solution.